It appeared to be the start of a new beginning when "Good Morning America" invited Chris Brown to their morning show. First, the singer performed some of his new hits. Following the performance, Brown interviewed with Robin Roberts. Roberts is a big fan of both hip hop and R&B. 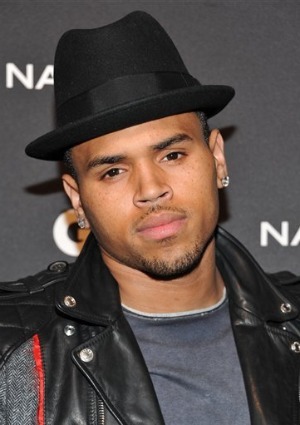 Chris Brown has repeatedly stated he is trying to move on with his life and his career. Two years ago, he got into a public altercation with Rihanna. The media has not fully forgiven him for this and the incident is mentioned each time Brown is. His ABC appearance was no different. While Robin Roberts argues Chris Brown knew he would be asked about Rihanna, she holds no ill will towards him. Rihanna is a hot button topic for Chris Brown. When she was mentioned, Brown flew off the handle and stormed off the set. Back in his dressing room, Brown tore the room to shreds, having a full tantrum. Fortunately for Chris Brown, ABC did not press charges. Completely opposite, they would like to hold another interview with Chris Brown in the future. Realizing his own part in this situation, Brown offered an apology to ABC and "Good Morning America." Obviously, they accepted his apology and both are ready to move on to new topics.